The last few days I’ve been writing about my mini vacation to Pella, Iowa. 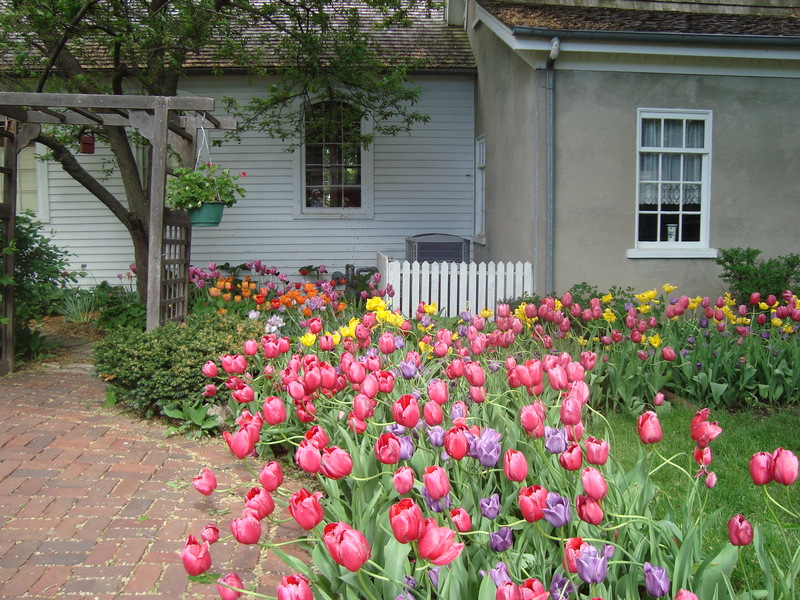 This weekend is the big celebration of Pella Tulip Time. We chose to visit the weekend before the crowds arrive, and we missed out on the parade, everyone dressed in historic costume and wooden shoes, but it was nice just to have the tulips to ourselves too, without so many people around! Remember those posts I made in February, longing for spring and tulips? Well, my longings are well satisfied now! Spring…fresh, not yet too hot, the strong have pushed through the darkness, upward, breaking through, settling for nothing less than sun, air, and life. We see the outer loveliness that encloses the hidden inner beauty and strength! 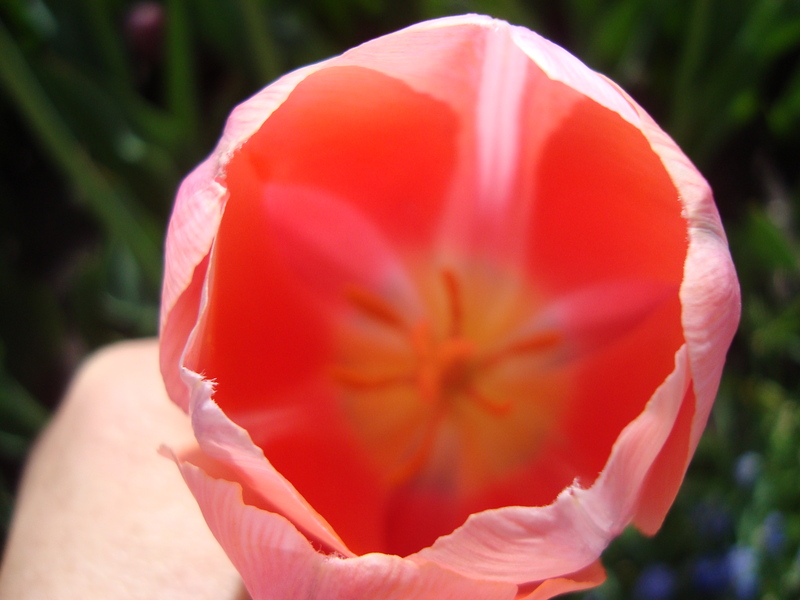 Tulips are the best. The ones here have been gorgeous for weeks but are finally disappearing. It’s been just cool enough to keep the blooms looking nice. Plus, there are so many varieties- probably don’t all bloom at the same time.